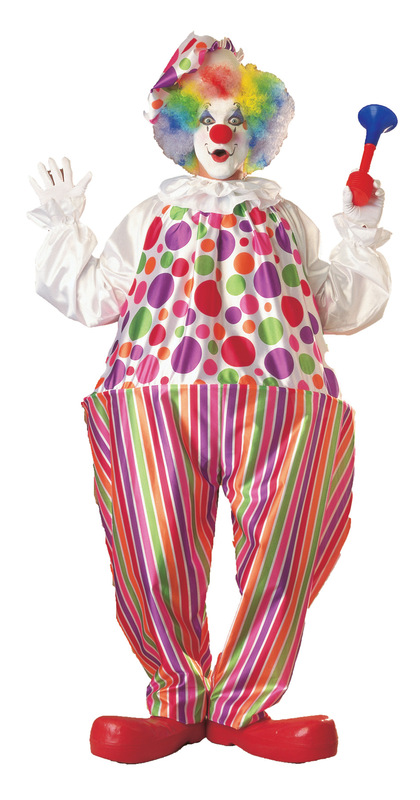 Clown costume has multicolor neon striped bottom, with polkadot top. Costume also includes attached white sleeves with ruffled cuffs and ruffled collar, and matching polkadot multicolor neon hat. Polyester jumpsuit has large hoop waistband. Wig, makeup, gloves, horn, and shoes are not included.